In this guest blog post, Steve Crouch, research software group lead at the Software Sustainability Institute, talks about the lightweight sustainability assessment of the research data spring projects and his feedback and impressions as a part of the judging panel. He also briefly touches upon the latest webinar we run for the projects on financing open source software tools. Sustainability is increasingly becoming recognised as a must-have goal in the development of research software, and earlier this year I undertook a sustainability assessment of the projects that had reached the second phase of Jisc’s Research Data Spring. It is particularly heartening that Jisc has sustainability high on the agenda across its portfolio of software projects, and that the projects themselves are embracing this ideal with such enthusiasm. The Institute’s Research Software Group has conducted over 60 consultancy activities with projects producing research software, and a part of that work often involves an assessment of the software’s sustainability. Typically, this means taking an in-depth look at the software itself, the team’s development practices, its documentation and web presence, how the software is provided to users and developers and how it is supported, and providing recommendations for how these aspects could be improved. Sustainability is a key consideration for the projects, which are expected to develop and implement plans for sustainability beyond the project’s Jisc funding lifetime. By providing a ‘sustainability snapshot’ of the work prior to the end of the second phase of the projects, they could focus on identified issues well before the end of their funding. For this activity, we undertook a more lightweight general assessment across the 11 projects to give them pointers for improvement in the latter stages, focusing on technical aspects. Having been on the judging panel at the sandpit event and at the end of phase one, it’s been great to see the projects taking sustainability on board so early, and this gave me a chance to see how far the projects had come in addressing sustainability in the meantime. Although the projects had only just started their second stage of funding, the progress that the projects had made was very impressive. When the level of funding and what has been accomplished are considered, this initiative represents tremendous value. In particular the degree of community engagement, a key indicator in the success of post-project sustainability, was particularly strong across all the projects. The number of community workshops aimed at bringing new stakeholders on board was impressive, a notable example being the Clipper project, which demonstrated an exceptional level of engagement. At the time of assessment, there were no less than seven reported community workshops, and to top it all their blog was well-informed and frequently updated and exhibited a very high level of transparency with project activities and findings. On a related note, an important part of engaging the community is the extent to which the software itself is openly developed and made available. Projects that develop software are increasingly expected to make that software available to the wider community – by the community themselves, and also by funders – and the Data Spring projects do not disappoint. All those producing software have developed the source code and made it available using publicly accessible revision control hosting services such as GitHub. DataVault was noteworthy in its excellent use of GitHub issues for highlighting development work that has been achieved and still needs to be addressed, which is great for transparency, as well as showing development activity and technical progress. Although making the software available as open source was expected of the projects it’s great to see they followed through with such enthusiasm, and by adopting this approach and publishing code early, they are helping to prepare their software for a life and reuse beyond the Data Spring funding horizon. Of course, there is always more to do, and to help the projects further along the path towards sustainability Jisc held a webinar in June to discuss ideas for funding models for a post-project future. Whilst the projects have largely considered many aspects of sustainability already, this gave them an opportunity to get a broader picture and consider other ideas. As well as introducing some of the financial options for funding open source software, which was very comprehensive, the webinar covered examples of open source tools and what they have put in place to support themselves. This led to some very valuable and engaging discussions, including the finer points of licensing and some of the pitfalls, such as the importance of ensuring that the software’s license is compatible with the licenses of any third-party dependencies such as libraries bundled with the software. It’s going to be great to see how far the projects have come in the third and final phase later this year! About the author: Steve Crouch is a software architect and he leads the Software Sustainability Institute’s research software group activities. 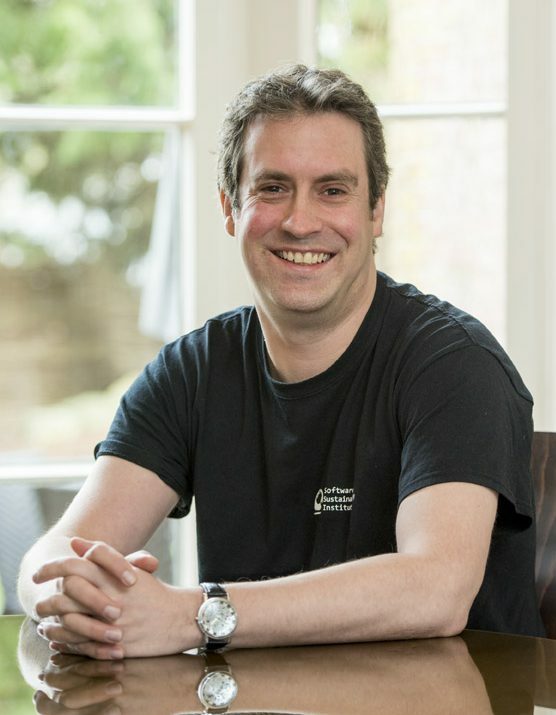 His PhD in Computer Science, awarded by Southampton in 2001, focused on modelling development processes to support the capture of software requirements. Steve was on the judging panel during the 3 research data spring workshops.